The Music Box is located in the Frank Lamb Room at the Pueblo West Library. Prior to booking a recording time, please contact Cory (562-5600) to set up an orientation to learn the equipment. 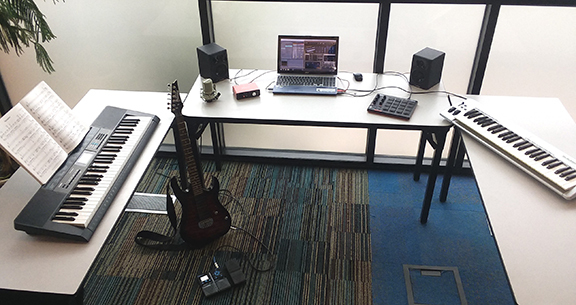 To book recording time, visit our online reservation sytem here. 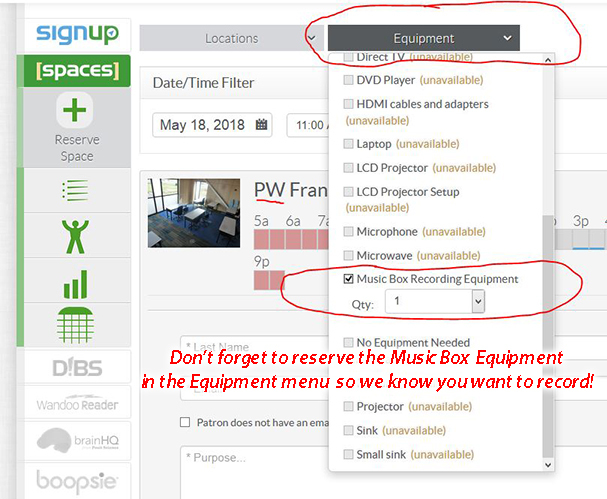 Be sure to choose the recording equipment in the Equipment Menu at the top right of the reservation form (Click bottom, right image for example). Reservations must be 7 days in advance.